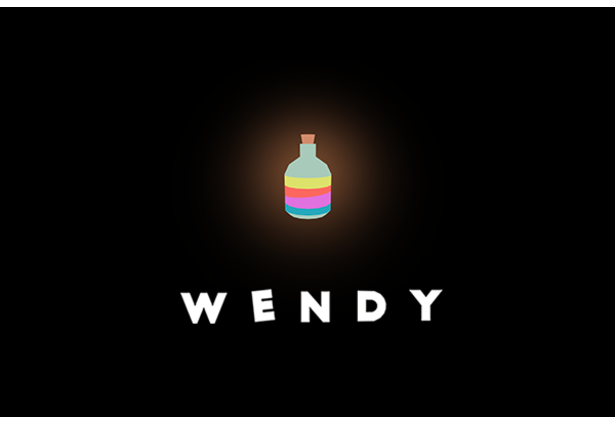 Play as Wendy—a young woman who always imagined herself as a witch. Cuddled up with your pet cat, you sit alone one Halloween night, drinking wine and eating candy—you find yourself falling asleep and into a dream. 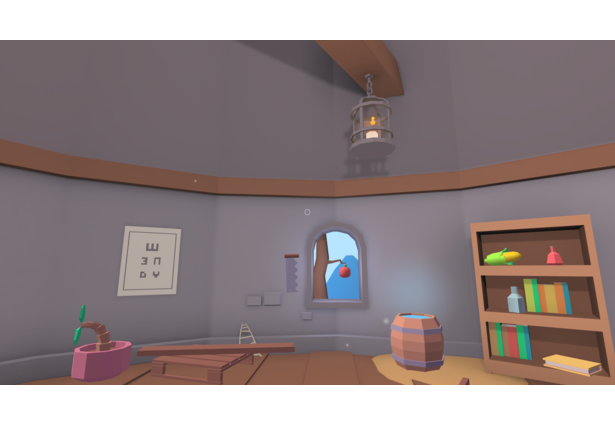 You awake in a magical tower with the power of telekinesis—tinker and move objects by simply looking at them for a second or so. 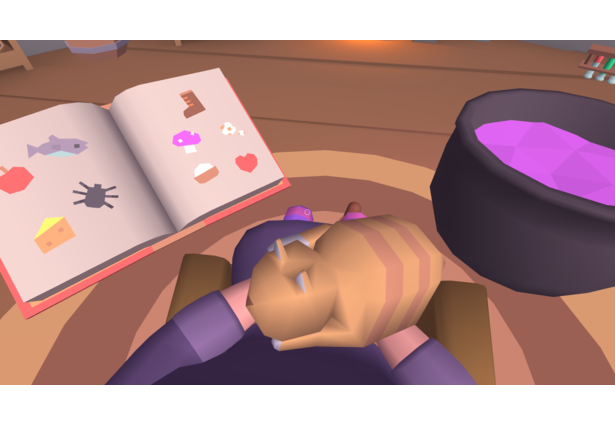 Tasked with brewing a potion, you must solve a series of puzzles, collecting ingredients and adding them to a cauldron. The game is designed to be a comfortable experience: have fun at your own pace without a time constraint or sore neck. 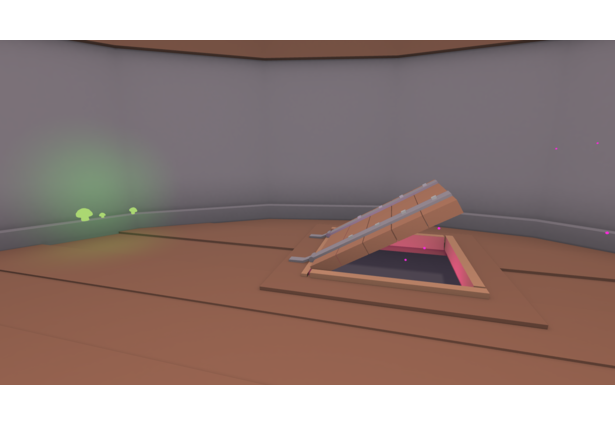 Our game is controlled entirely with the player's gaze. 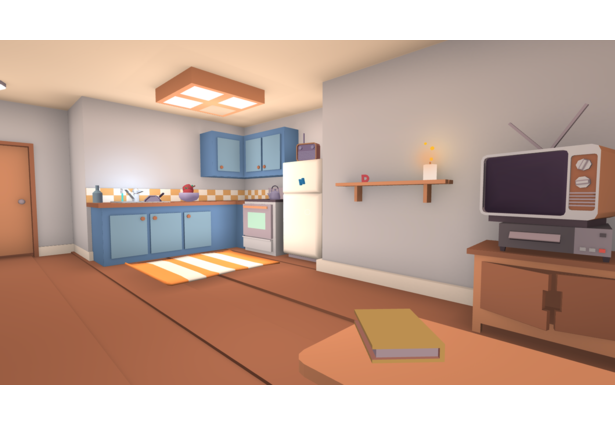 Some objects will react instantly upon being looked at, others require the player to focus for a short duration. 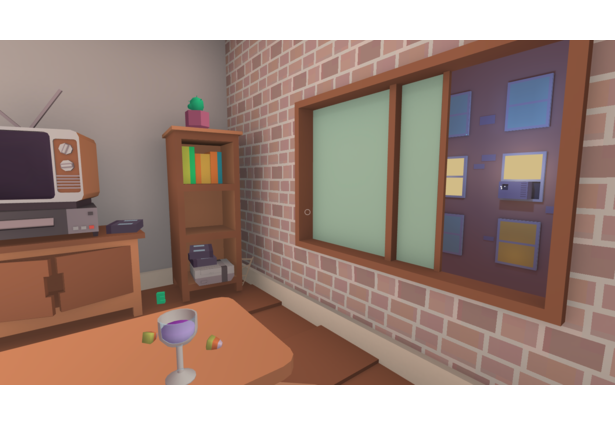 The player will seek to obtain objects, through both a series of small puzzles and exploration of the space, in an effort to solve one larger, main puzzle. Many surprises await the curious player. 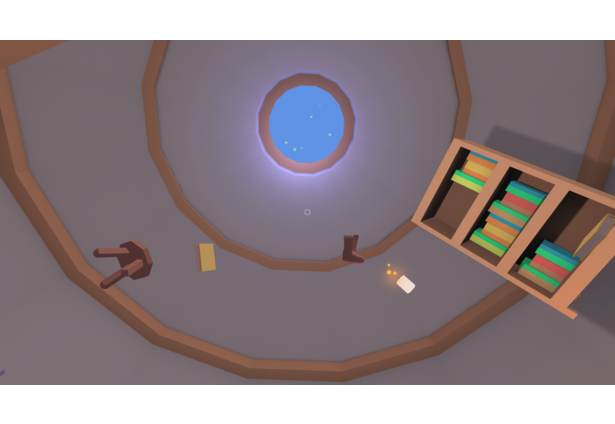 There is a story underlining the gameplay that links the player's telekinetic ability to move and shape the world, as well as a concrete theme—that of witchcraft—that influences the style of the puzzles. 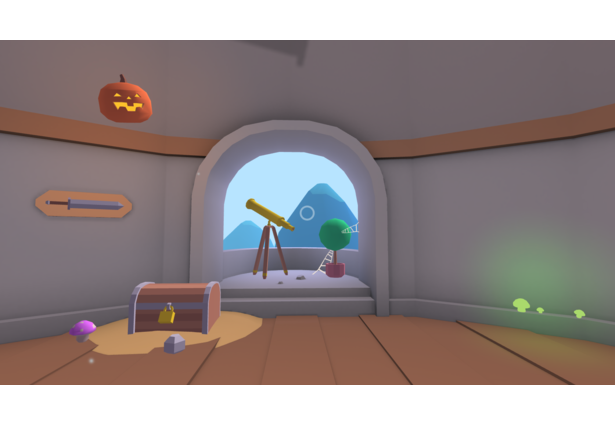 We've attempted to create an experience in VR that can be played without using hands. The game's reticule responds to the physical environment, conforming to geometry and objects of interest—it’s not your typical fixed icon in screenspace. Positional audio is thoroughly used; in particular, a sequence that only allows you to hear things—not see them. 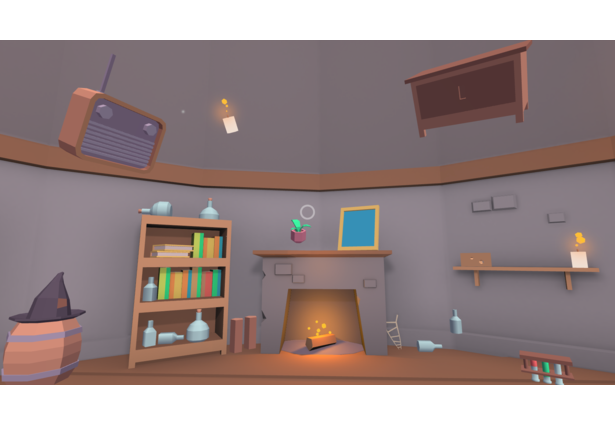 We've imagined a beautiful, detailed visual that performs smoothly on the Gear VR. Hahahah cute angular cat :) Interesting project! Seems to me it will be very easy and comfortable to play. Comments for this submission are closed. View the software in Kurilchenko's portfolio to continue the conversation.